Most people struggle with stress and feel overwhelmed when they can’t keep up with life’s demands. I teach mindfulness to help people reduce stress and find more joy and peace in life. Do you feel dread & fatigue over your endless to-do list? Are you overwhelmed and have trouble focusing with all you have to do? Is it difficult to fall asleep even when you’re tired? Do you have trouble letting go of worry? Do you need a break from negative thoughts? If any of this sounds familiar, you are not alone. Up to 90% of doctor’s office visits are stress related. Stress can make us feel like nothing in life is going our way. Another bill to pay, a deadline to meet, an unexpected illness or worse, we lose someone we love. In moments like these, we’re are not sure if we should scream, give up, run away or grab a drink. Most of us are battling stress over competing demands from work, home or both and would love to find relief from the onslaught of daily strains and pressures. I help stressed-out people find lasting relief, so they feel happy healthy and peaceful. 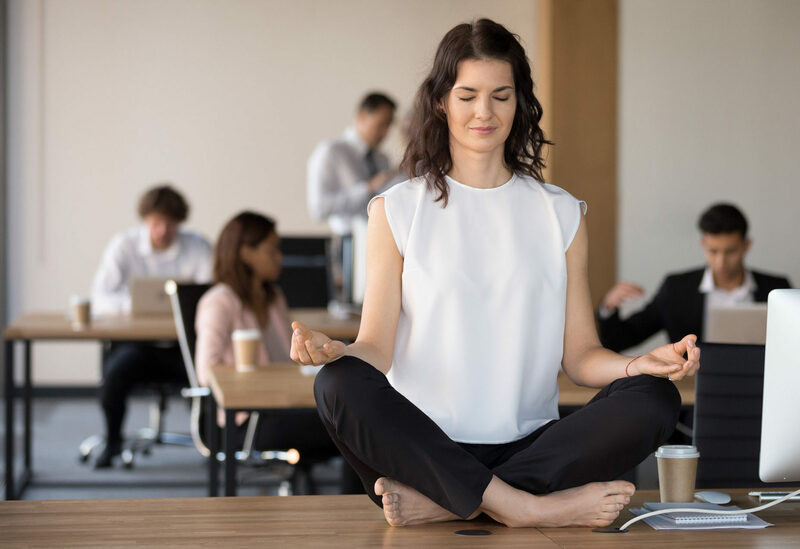 People are able to achieve positive results and apply mindfulness to daily life by taking an 8 week program called Mindfulness Based Stress Reduction (MBSR). In Charlotte meditation and mindfulness practices are growing and they span the globe with over 750 MBSR programs worldwide. MBSR will help you develop life-long tools to maximize your quality of life through enhanced awareness, even when you are facing stress, pain and illness. 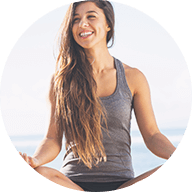 These sessions are intended to help you learn and grow a sustainable mindfulness practice. Chronic pain, high blood pressure, heart disease, fibromyalgia, GI Distress, skin conditions, headaches as well as many other conditions. It can also be helpful for psychological distress like panic, anxiety, depression, fatigue and sleep disturbances. Even if you are not facing a medical issue, MBSR can improve overall well-being and enhance your health. Neural-pathways comprise of neurons that are responsible to connect distant areas of the mind. Through repetition and practice, these pathways are strengthened and thus, formed into habits. If your mind is trained to overthink & stress, it becomes a habit. On the contrary, mindfulness meditation rewires the mind to view thoughts, differently. It teaches you to focus, relax and thereby reduce the ‘mental time-travel’ and ruminating about the past.